In memory of Christopher D. Irvine who died 11th Decr. 1885 aged 57. 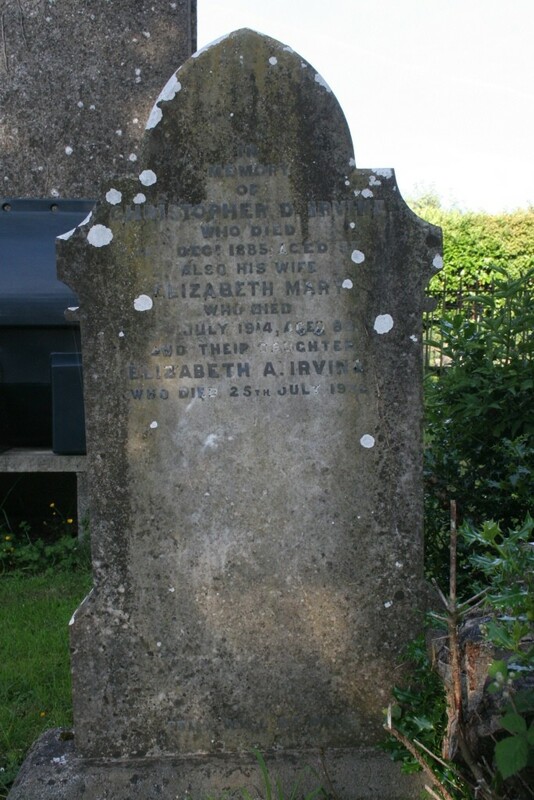 Also his wife Elizabeth Mary who died 3rd July 1914 aged 83. 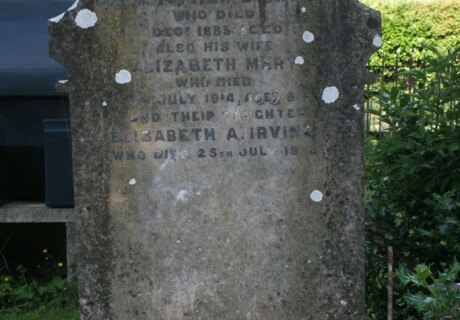 And their daughter Elizabeth A. Irvine who died 25th July 1936.